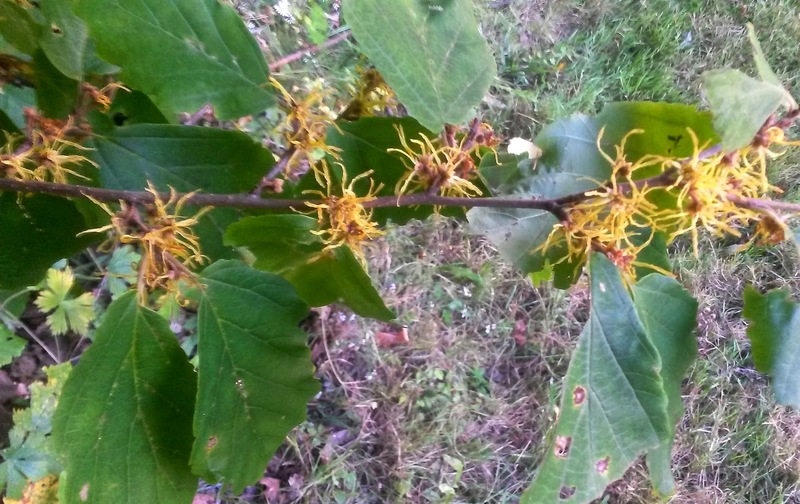 The colorful leaves, which last less than a month and sometimes only a week, to me are always startling in their intensity, year after year. 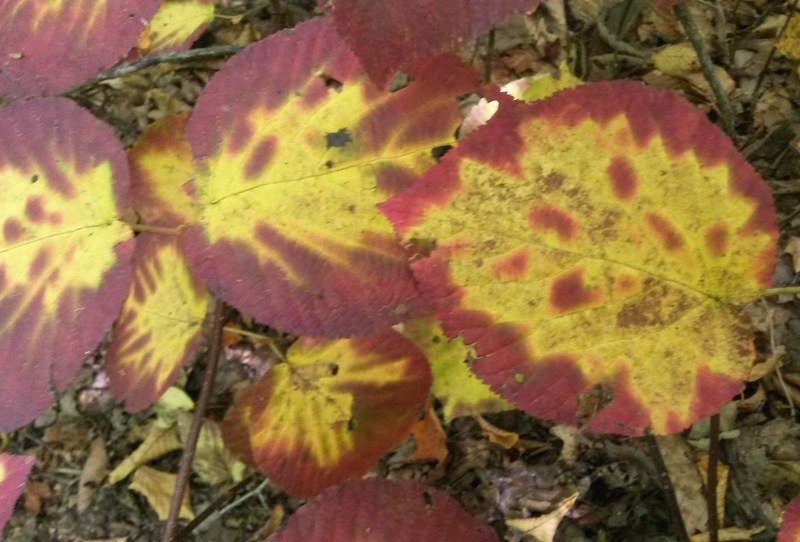 Yes, some autumns the leaves are brighter than others, but always, every year, I find brilliance that surprises me. This year seems to be to be one of those extra bright years although it's possible I say that every year. 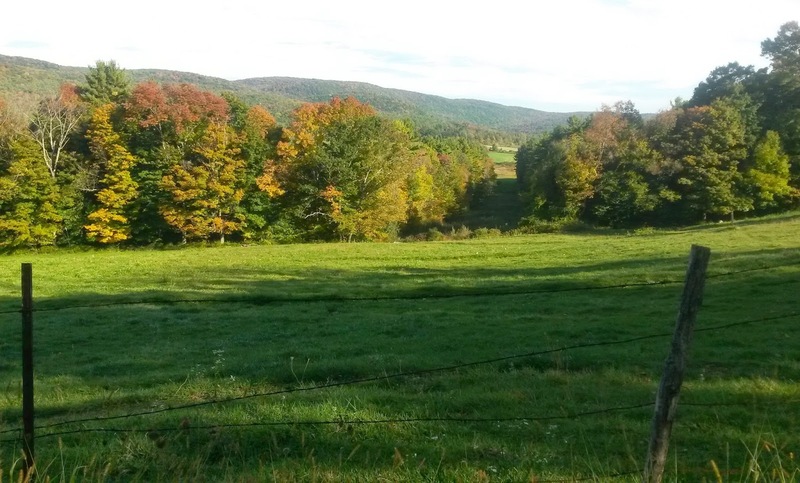 Last week on the Appalachian Trail, we started at Benedict Pond in Beartown State Forest in Great Barrington, and walked to Tyringham's Main Road. 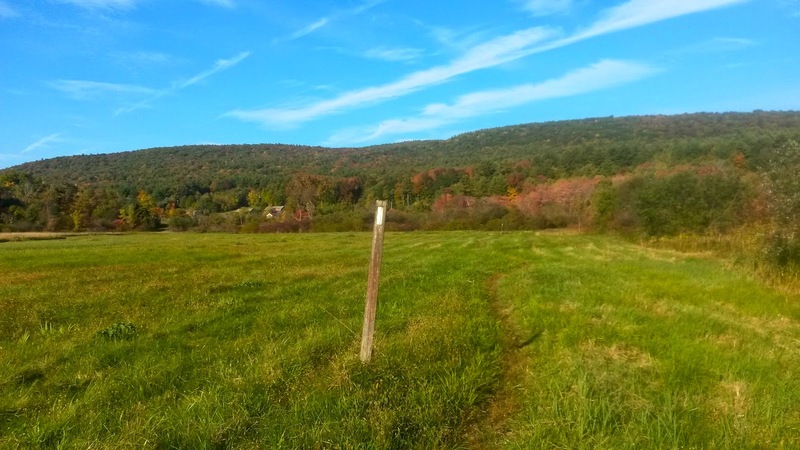 The trail traverses a variety of habitats and terrain including forests and farmland, the lake, beaver dam and streams and Tyringham Cobble. It also includes some remains of a Shaker settlement. and is still available in the drug store today. 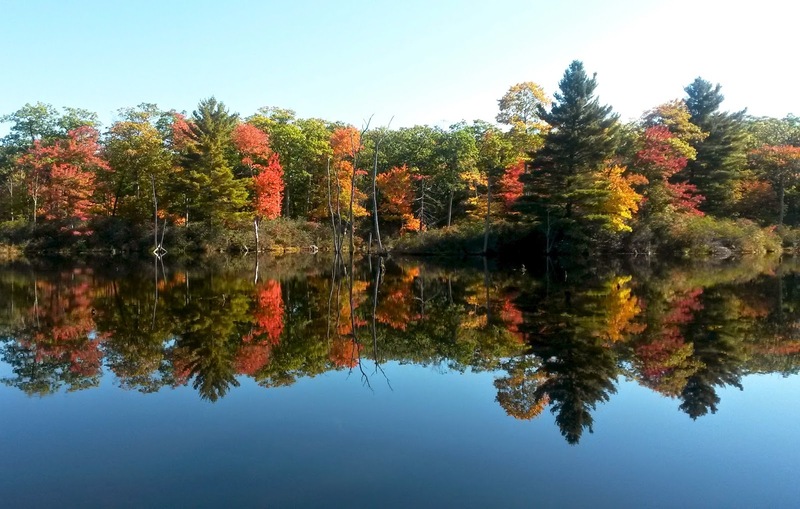 Benedict Pond was a mirror in the early morning. 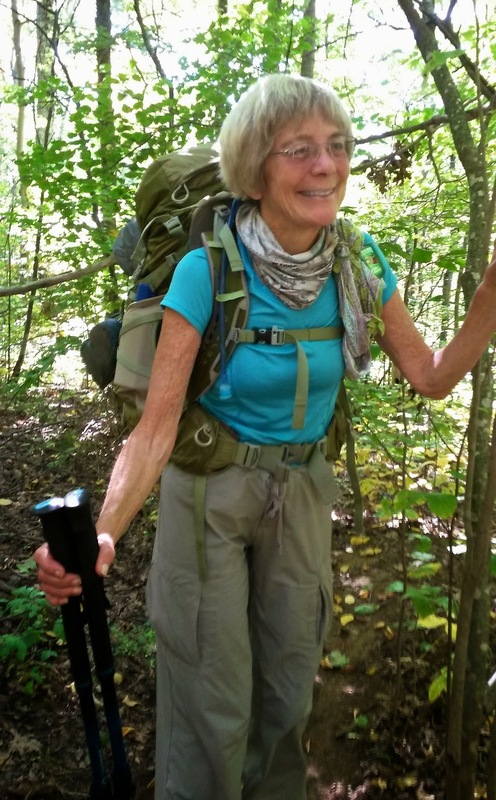 We met a wonderful thru-hiker; Slow 'n' Steady was her trail name. when she completes the trail. There is a large beaver pond along the trail. 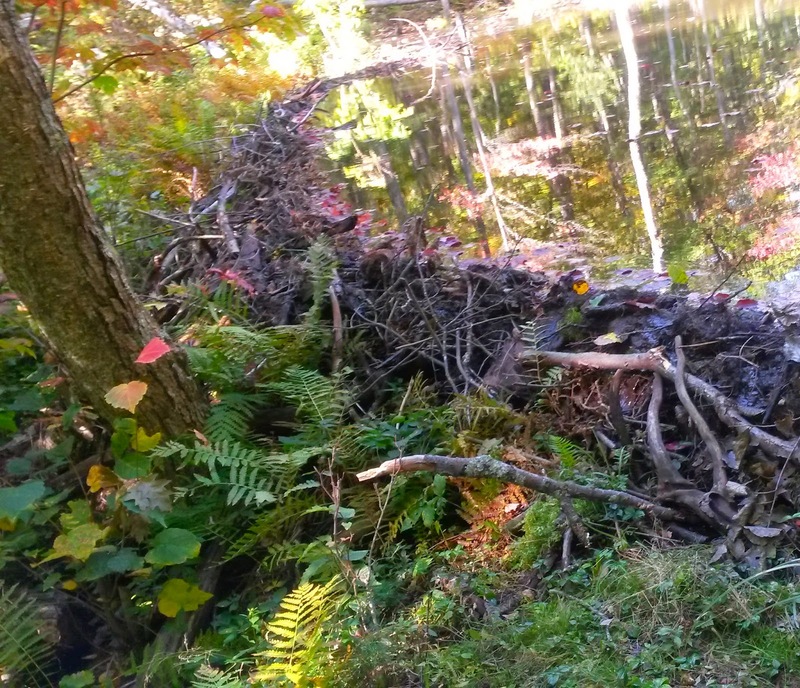 The beavers had three dams creating three tiers of ponds. The highest dam raised the water level about six feet. This is a major engineering project! 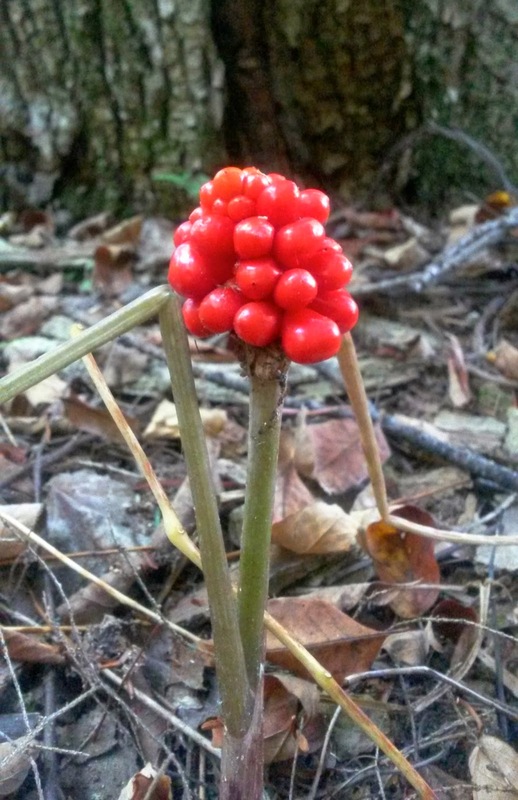 Remember the spring flower, Jack-in-the-Pulpit? These bright red berries are its fruit. No cows today in this field, but they had been there not too long ago! 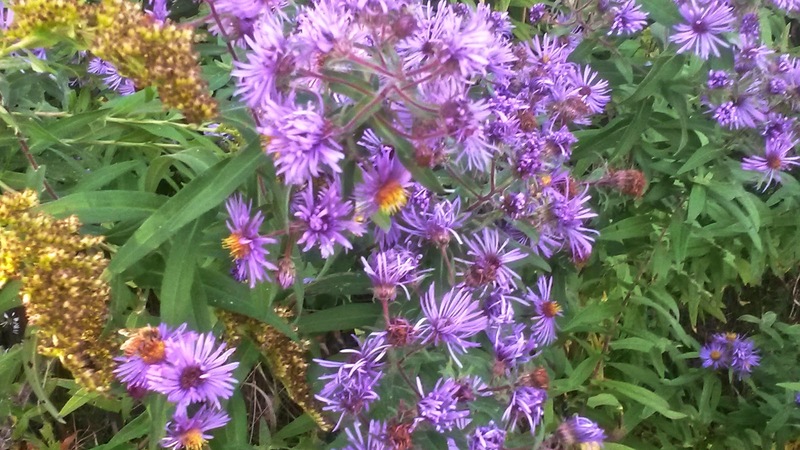 The wonderful fall asters. This one is a New York Aster. 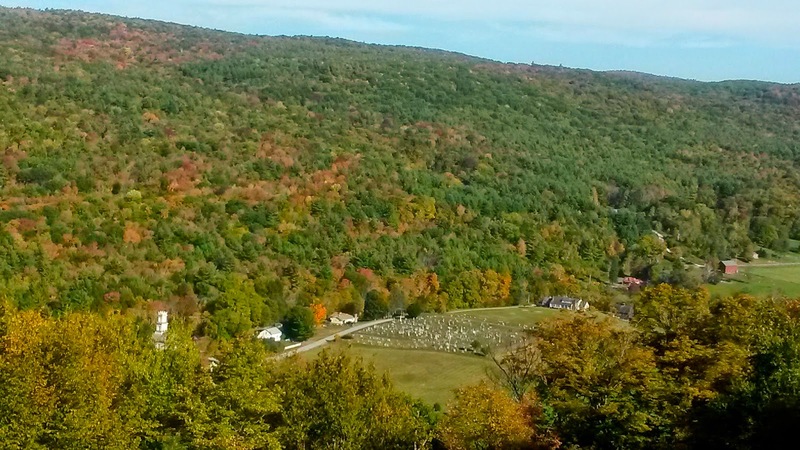 and cemetery from Tyringham Cobble. 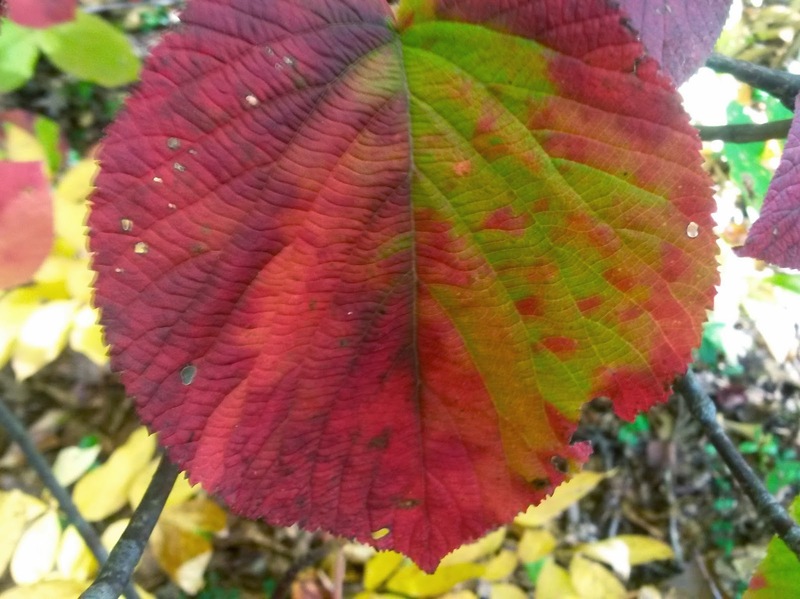 This Hobble Bush leaf displayed many colors! and some of it still is.